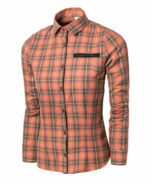 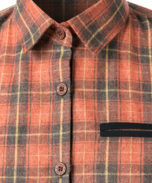 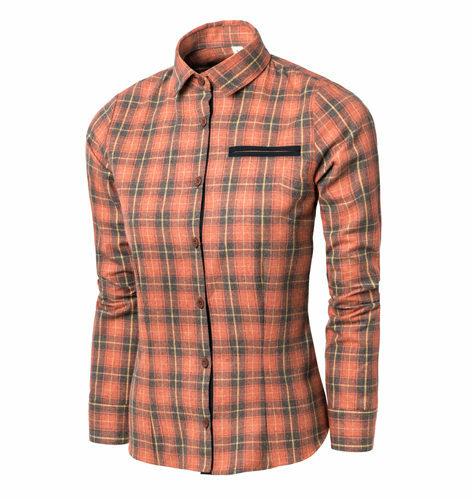 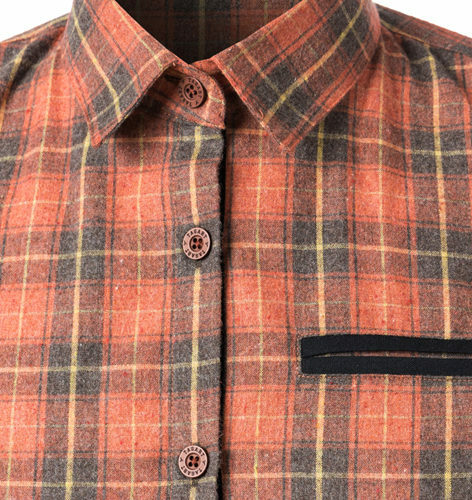 Comfortable flannel shirt combining mellow shades of red, brown and orange. 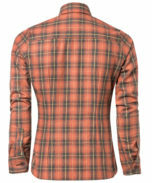 Waisted cut. 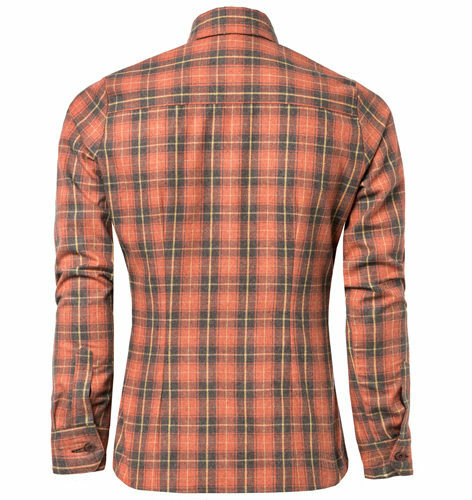 Softened fabric, durable and pleasant to the touch, featuring the advantages of cotton and polyester.